With millions of fans who love the brand around the globe, it’s no wonder they prefer pampering some of their most wanted models. The Mercedes Benz E63 AMG Edition, which is a significant upgrade over the conventional variant has now received another upgrade – brand new HRE Performance wheels. If you think about budget and fuel efficiency when buying a Mercedes, you are probably in the wrong segment. The company rather caters to people who make no compromises, when it comes to comfort and luxury. 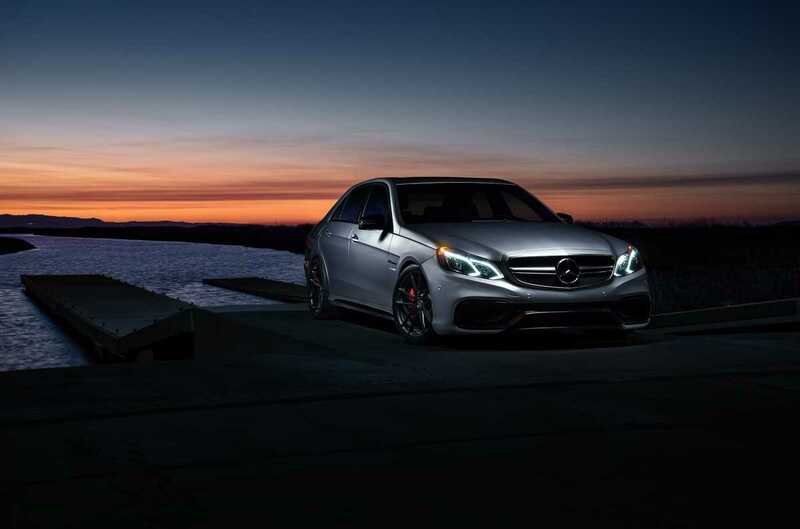 The price of the basic variant of the E63 is high, but when you opt for the AMG edition, it will be much higher than the base price because of the upgraded parts found in the car. The new add-on obviously makes it pricier, but for the patrons who follow these models, it is never going to be a deal breaker. The E63 is expected to go out of mainstream market real soon before which Mercedes Benz wishes to give it a sales boost. The HRE Performance wheel upgrade comes from a company which is best known for making three piece or one piece models forged out of aluminum alloy wheels. The team has come up with a brand new product, the P108 HRE ten spoke rim wheel which is now part of the Mercedes Benz E63 AMG Edition. In order to showcase the peripheral, the brand has held an exclusive photo shoot. They have picked a remote spot which looks breathtakingly beautiful on the pictures. It has been perfectly captured in an evening when the sun was about to go down the horizon, but not before it could light up the saloon in beautiful angles. While the car features an exotic design, we just can’t stop praising the photographer who made it look extremely inviting. 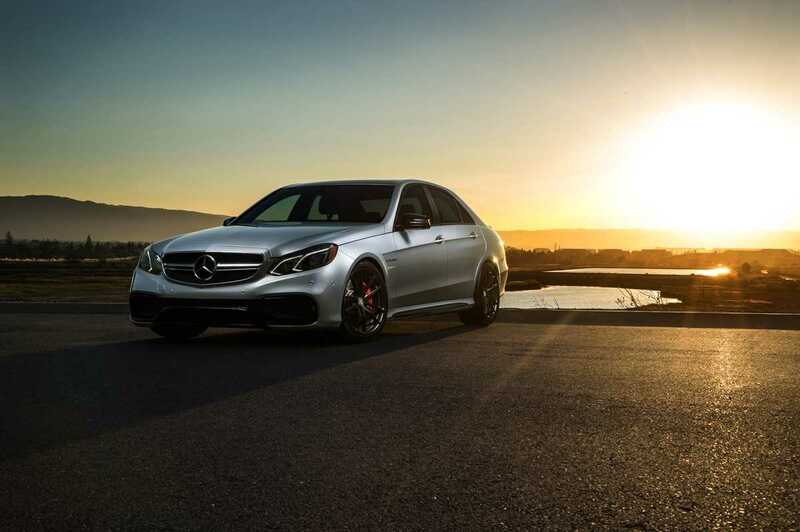 The Mercedes Benz E63 AMG Edition is all set to receive an upgraded variant soon. We have had the chance to go through the spy shots that emerged recently. It looks decent with some minor modification, but is not as inviting as its predecessor. The spy shots were camouflaged. So, it’s good to reserve one’s judgment until a grand reveal takes place. For buyers looking forward to enjoying the amazing performance combined with the best luxury add-ons in the world, the AMG edition of an outgoing model is a perfect choice, especially when it comes with performance upgraded HRE wheels.